There's a big question mark surrounding the future of the Marvel Cinematic Universe after Infinity War and Thanos' mighty snap. There are sequels lined up, like Spider-Man: Homecoming 2 and Guardians of the Galaxy Vol. 3, but it is unclear how those movies will move forward, which means that we have to wait for the upcoming Avengers 4 for answers. However, James Gunn recently took to social media to announce that he has officially finished the script for Guardians of the Galaxy Vol. 3, and that means he knows exactly how everything is going to pan out. James Gunn took to Twitter to post a picture of the Guardians of the Galaxy Vol. 3 script with a caption that reads, "Every bit of my heart." This caption leads many to believe that we're going to be in for an emotional ride this time around, which is pretty much no different from what we have seen from the previous two installments. All of the Guardians have heartbreaking stories that have been touched on in one way or another. Plus, there's the events of Infinity War that need to be taken into account as well. The director also posted the picture on his Instagram page as well, but with a different caption. While we know that there will be emotional elements in Guardians of the Galaxy Vol. 3, we also know that there will be a lot of humor to balance everything together. When one fan wrote, "finished already?" James Gunn replied by saying, "I've been writing for over a year," in all capital letters, making sure that he got his point across. While there is not a lot of information about Guardians of the Galaxy Vol. 3 available, there are a few bits that are out there. For instance, production will start early next year in Atlanta and James Gunn has clarified that it will not be a prequel after some fan theories began to pick up steam. It will take place after Avengers 4 and it will help to usher in Phase 4 of the MCU. Additionally, Gunn has also confirmed that Guardians of the Galaxy Vol. 3 will be the last movie to feature all of the original crew together. While we know that time travel and the Quantum Realm will be utilized in Avengers 4 to bring back the characters who turned to dust, it isn't clear how it will be done. 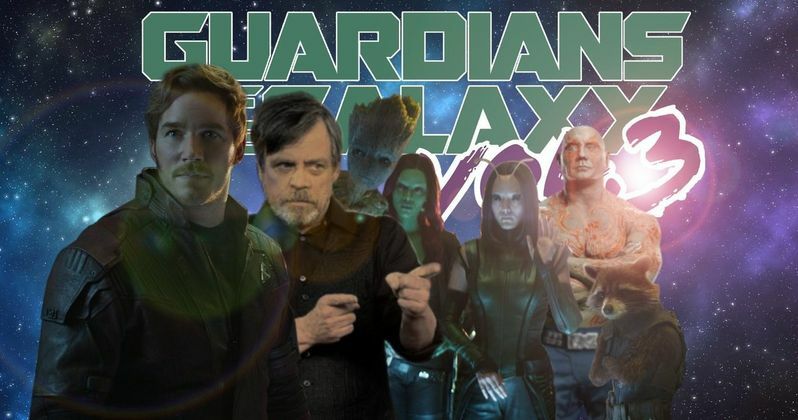 As it stands, there's only one member of the Guardians left right now. Guardians of the Galaxy Vol. 3 isn't going to go on with just Rocket, so some kind of magic will need to be worked. As for Gamora, her death may have been final and we might actually see the next Guardians movie without her, which would be pretty heartbreaking. This is just speculation for the time being since we have a pretty long wait before we get any real updates. You can check out the announcement of the Guardians of the Galaxy Vol. 3 script being complete below, thanks to James Gunn's Twitter account.